Boom testing recreates expected stressors in a full week of around-the-clock testing to simulate 15 years of field operation. Putzmeister's more than $1 million investment in a modern research and development facility is setting a new standard for equipment in the concrete industry. 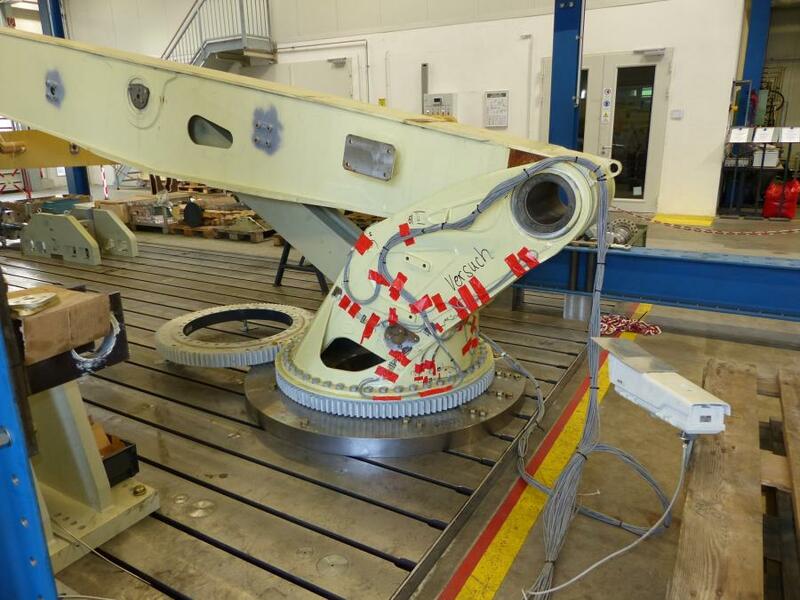 The Research and Development Facility, located in Aichtal, Germany, ensures every piece of Putzmeister equipment will maintain its strength and reliability for years of heavy use, according to the manufacturer. "It's important for us to test our equipment and make sure we are producing the highest quality," said Karl Schlect, founder of Putzmeister. "We want our customers to trust us and our equipment." To educate customers on how research and development impacts every piece of equipment, Putzmeister has produced a video detailing the process. In the video, Matthias Ruppel, managing director of Putzmeister Holding GmbH and member of the executive board for Putzmeister, explains in detail how all Putzmeister parts are put through extensive testing to simulate 15 years of field operation. "Quality means that the customer is coming back to us, not the product," said Ruppel. "At the end of the day, R & D makes a difference." The thorough process results in products that are meant to last. The testing process includes six over-arching steps to ensure the product is perfect. The tests include design, simulation, functional testing, endurance testing and customer testing, all before it is released to production and on to the customer. "Seeing the research and development facility that they have blew us away," said Mark Young, of Brundage-Bone Concrete Pumping. "They're thinking of small details, big details, and they're testing it all. It's very impressive." The Research and Development Facility assists the engineering team in testing and proving their theories as well as being responsive to customer feedback for product improvement. For more information about Putzmeister, visit www.putzmeister.com.